There's a 'THREE-REX' in the house! 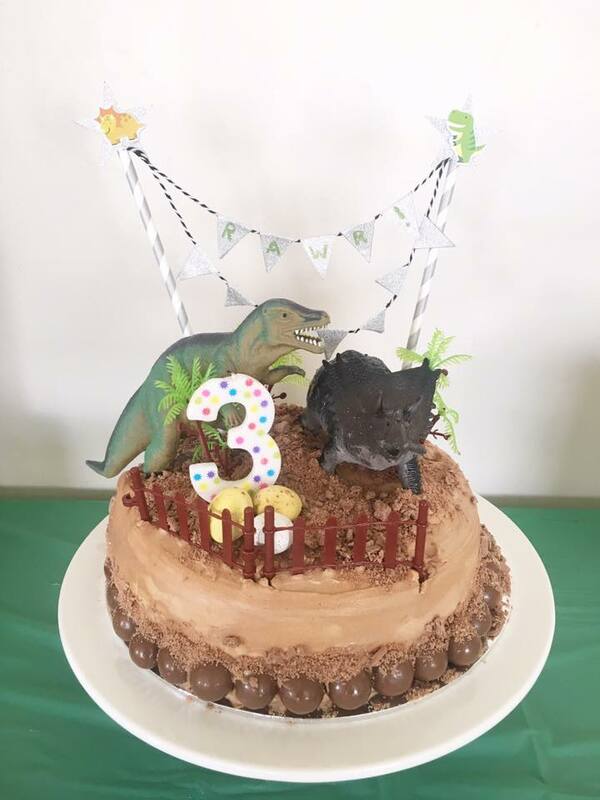 When my partner asked Master M what kind of cake he wanted for his birthday - he said "DINOSAUR" straight away, followed by a huge ROAR! 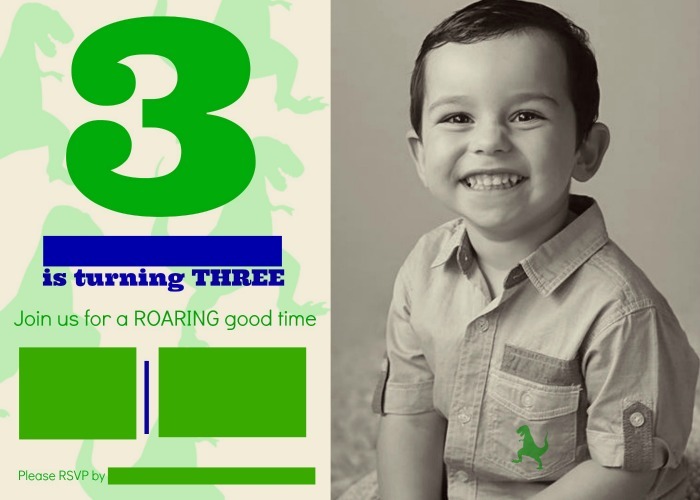 Therefore, it was decided that the theme for his 3rd birthday was going to be 'DINOSAURS'. 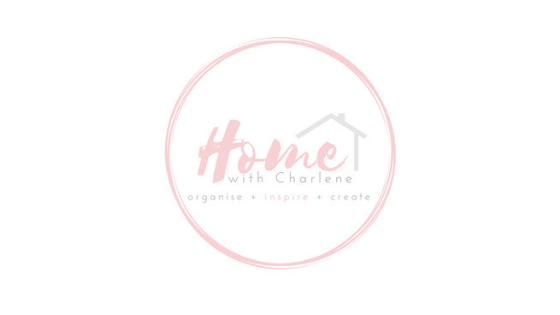 I do love planning and organising events, especially birthdays on a budget. 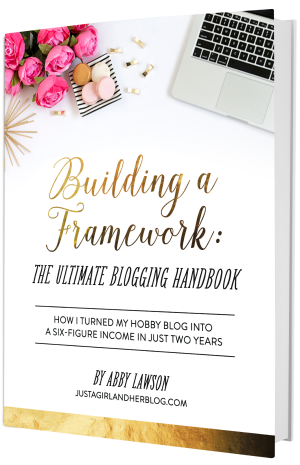 Previous birthday themes were A Little Golden Book for his first birthday, and a Construction theme for his 2nd (which I only shared on the blog last month, oops). 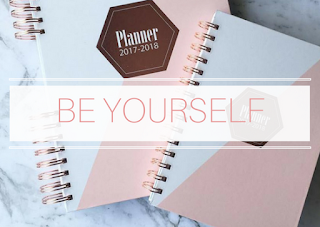 This year I wanted to keep things simple, yet effective. 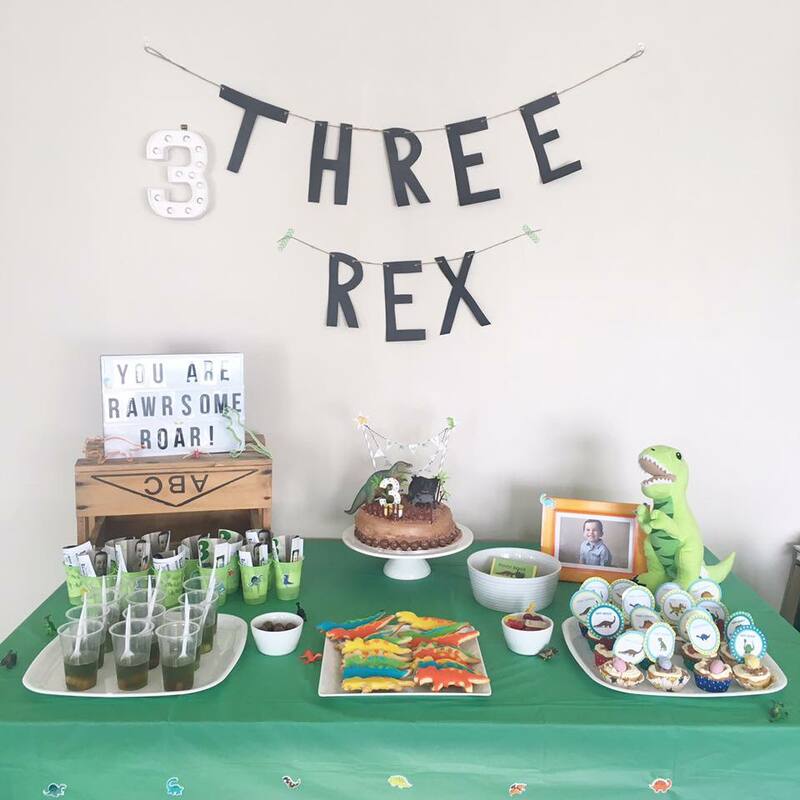 So today I am sharing with you, all the details of our son's 3rd Birthday - DINOSAUR PARTY! I made the invitations this year. 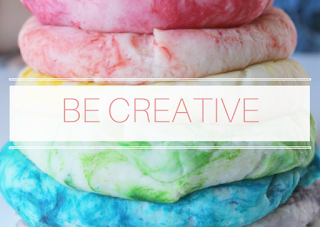 I designed it in PicMonkey, using one of their templates for inspiration. I simply changed the watermark images to dinosaurs and also changed the colours to match the theme of the party. I went to Harvey Norman Photo Centre and printed the invitations onto 6x4 photo paper. They turned out really good. (Invitations cost less than 20c each). I ended up using these invitations for party favours instead (see below), and just created a Facebook event for his birthday, so I could keep track of who was coming and used this invitation as the cover photo. 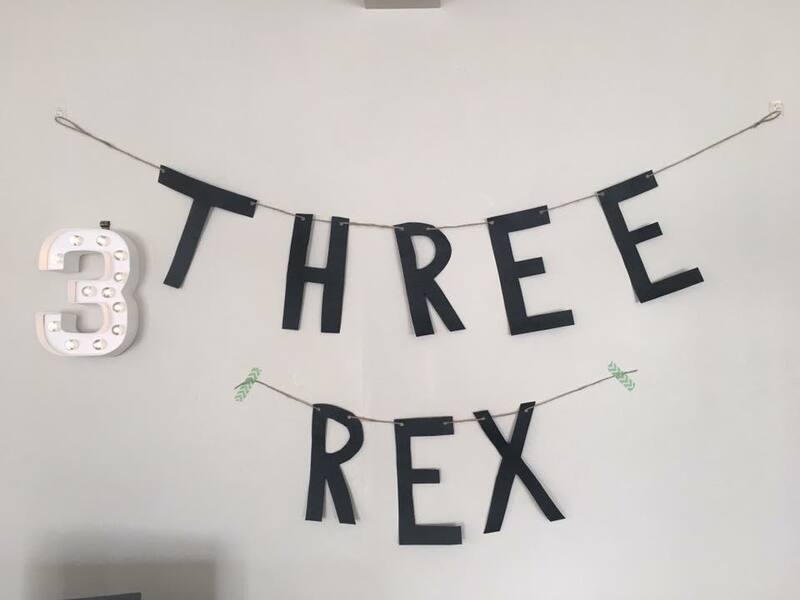 Keeping it simple, yet effective, I found this cute idea (via Instagram user @makaylalambert) of hanging the words 'THREE REX" above the table - it was the perfect backdrop. I found a number '3' Heidi Swapp Marquee light for $10 on clearance at Spotlight last year, which looked really cool all lit up. 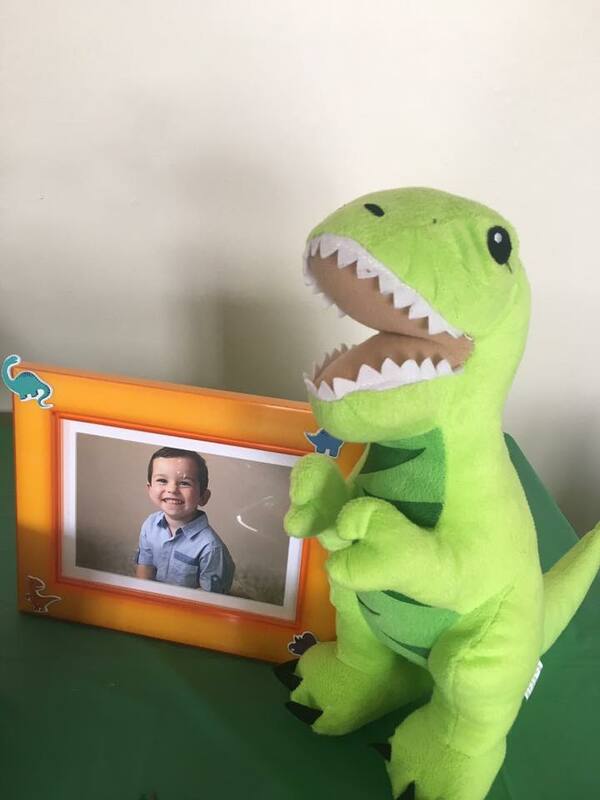 I put a photo of Master M in an orange frame we already had in his bedroom and put his green soft toy dinosaur next to it. 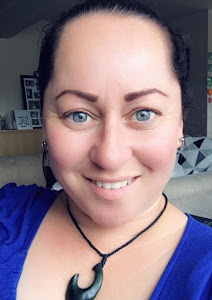 As soon as I knew we were going to have a dinosaur themed birthday for Master M, I went straight to Mel's blog Flicker and Flock and downloaded her awesome Dinosaur Balloon templates. 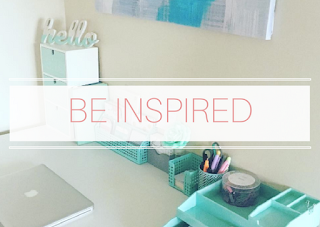 These are so cool and easy to put together, as she has included a 'how to' tutorial. They looked awesome in the living room and playroom, setting the scene for the theme. Dinosaur Balloons were a HIT! 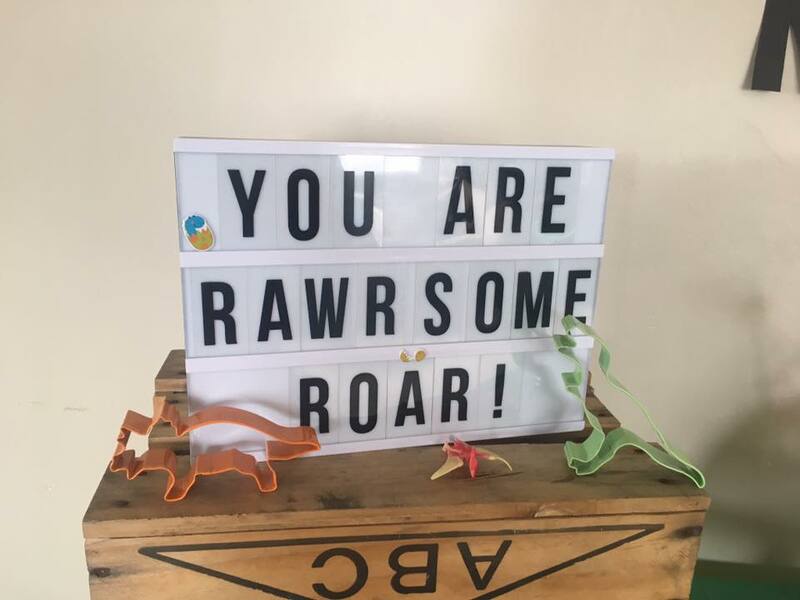 The KMart light box is always a great item to use as a decoration - I put 'YOU ARE RAWRSOME. ROAR! as the message. I also used the dinosaur cookie cutters as decorations too. I was stoked to find these cute Dinosaur Prints on Etsy for less than $3. I printed and laminated them and displayed them on a string in the playroom (which is also where I displayed Master M's birthday cards). These prints are now in his bedroom, I just need to get some frames for them. A week before the party, we visited our local public library and found some Dinosaur themed books to put on display. 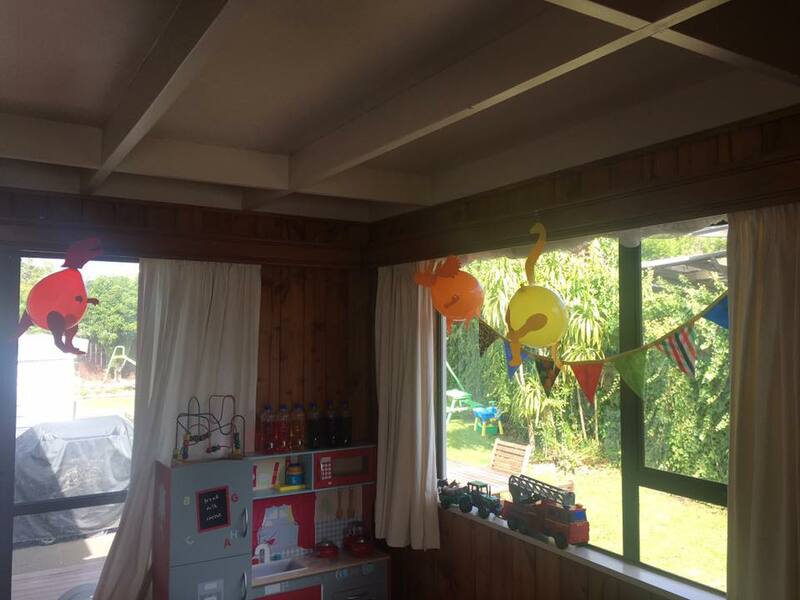 Master M loves reading books so it was a nice to add books as decorations, the kids loved reading them too. 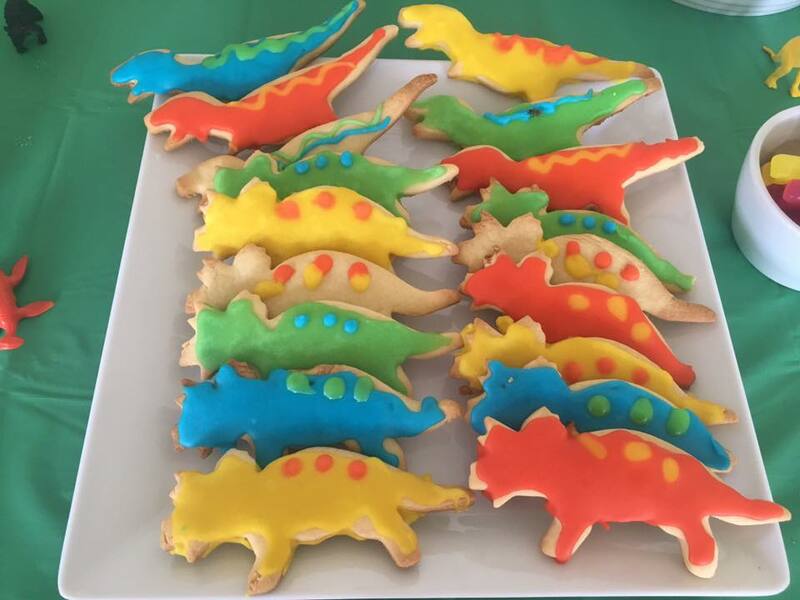 My son's amazing home-based carer made us some vanilla cupcakes & dinosaur shaped shortbread cookies, so all we needed to do was decorate them. 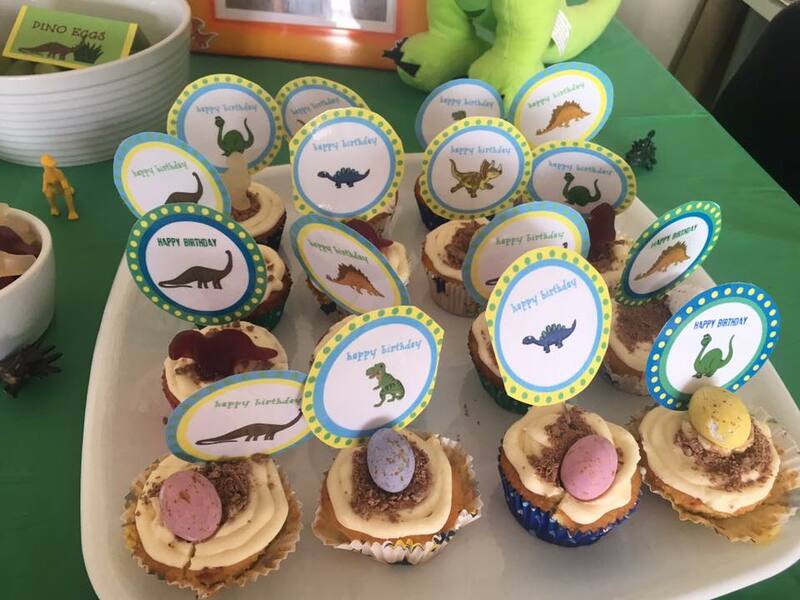 For the cupcakes, we added Flake, Chocolate speckled eggs and Dinosaur confectionery lollies. I also found these cute cupcake toppers from Place of my Taste. We iced the dinosaurs in the theme colours: green, blue, orange and yellow. Not the greatest icing, but they still looked cute and were very delicious. 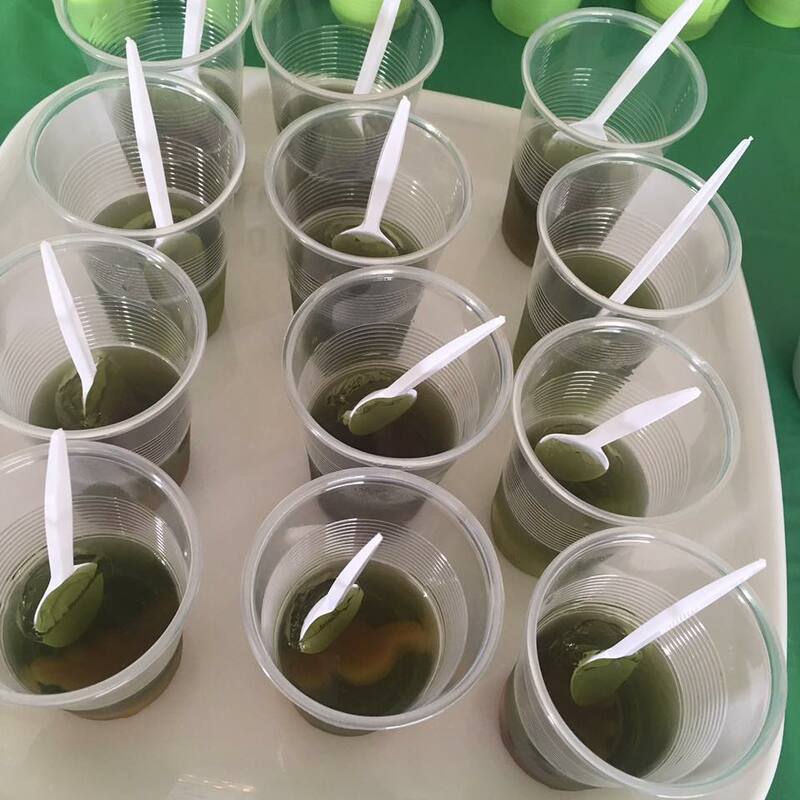 I love the dinosaur jelly cups. I used lime jelly and popped a dinosaur lolly in each of them - 'Dig for Dinosaurs'. 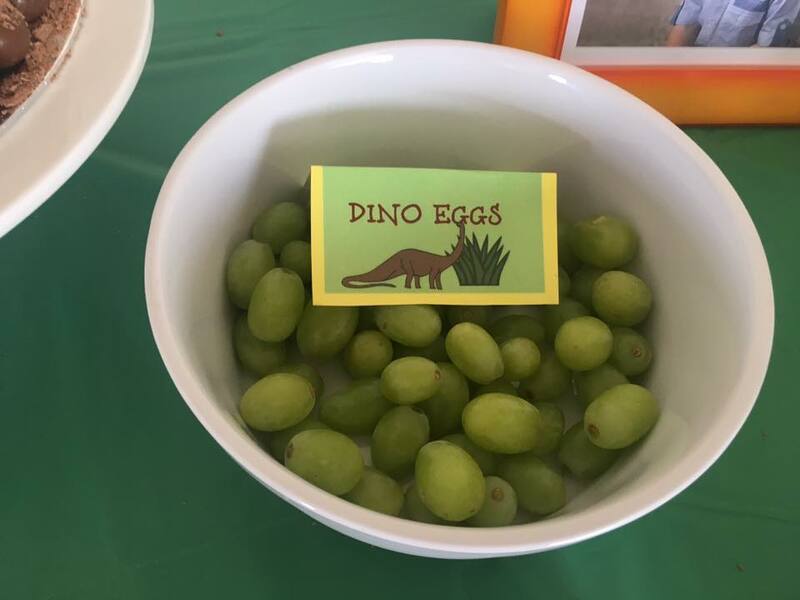 We also had 'Dino Eggs' - just green grapes in a bowl. Our friends brought a plate too, so we had green marshmallow, popcorn, sausage rolls, pizza bread, lamingtons, chips and mini toffee pops. For the drinks, I supplied: water, soft drinks, orange juice (in a flexi tub of ice) & hot drinks too. Because I moved our furniture around a bit, we had a massive floor area to put blankets down for the kids to eat on. It worked out perfect - picnic in the lounge. I like to give our friends a little something to say thanks for coming to the party. 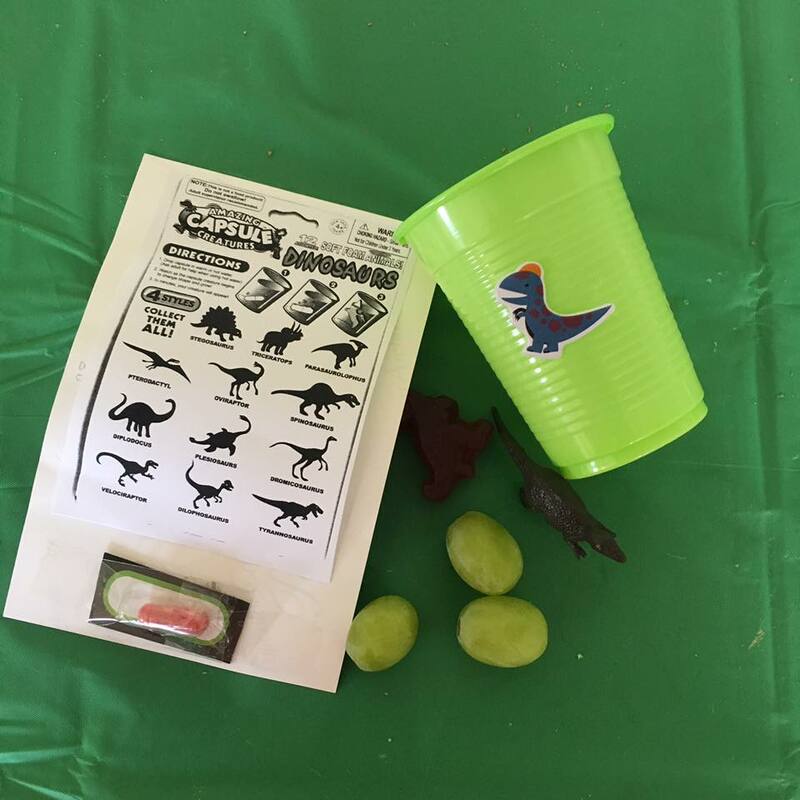 Party favour included: an invitation/thanks for coming, Dinosaur Confectionary lolly, a few 'dinosaur eggs' (grapes), a mini dinosaur and a 'Capsule Creature'. 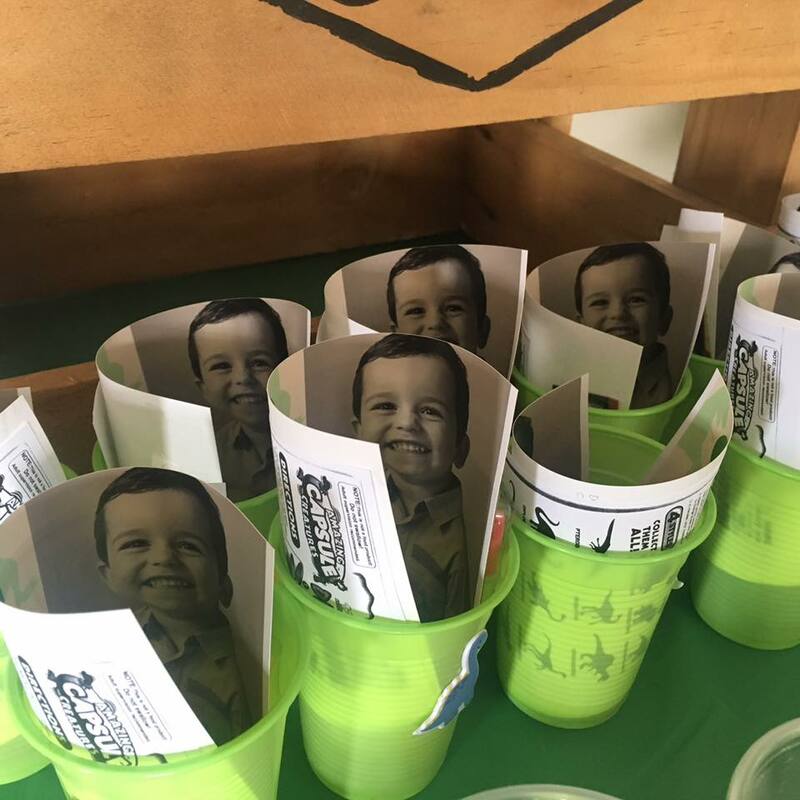 Before I handed out the favours, I told the parents to take the 'invitation' out because the capsule was taped to the back. 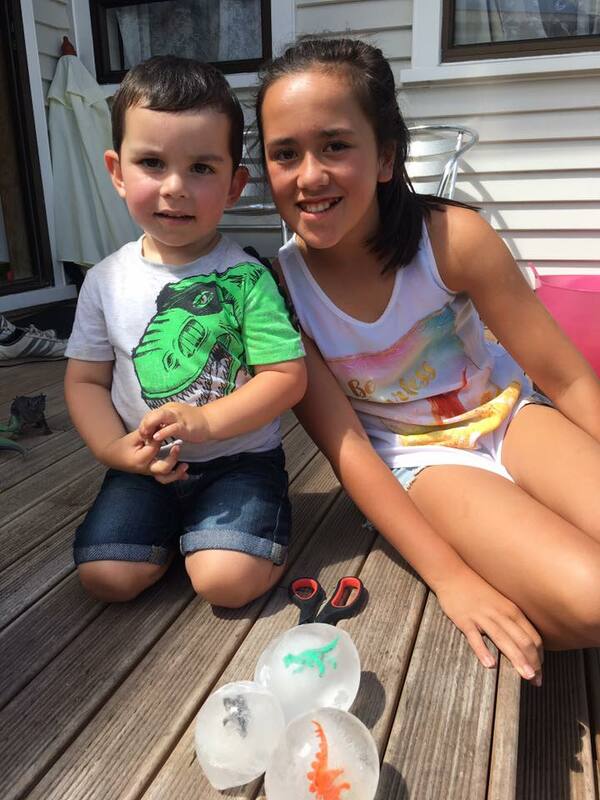 The kids got to play with their dinosaur and eat their little treats, then once they got home, (with adult supervision) they were able to watch their dinosaur grow in water. I photocopied the back of the 'Capsule Creature', so the kids could find out which dinosaur they got. 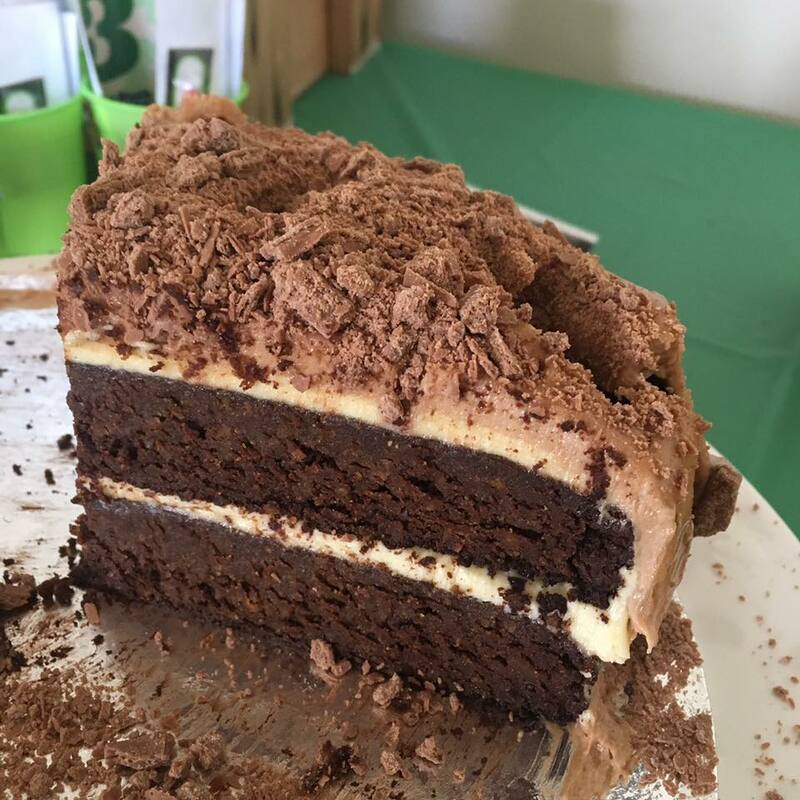 A scrumptious double-layered chocolate mud cake (made with Kumara), with white and milk chocolate icing (requested) by my friend, Nicci at Delights. 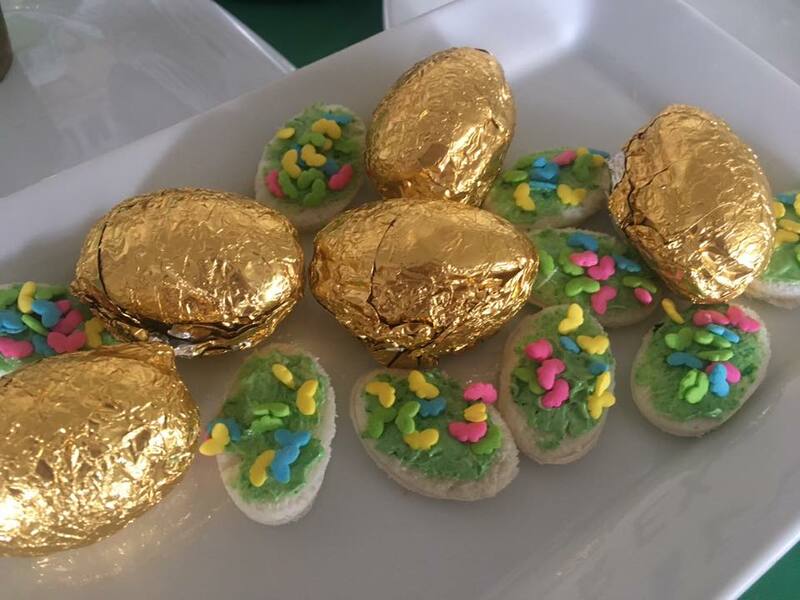 I decorated it in the morning of the party, using a T-Rex & Triceratops (from KMart), Flakes, Malt balls, chocolate speckled eggs and a few items from his dinosaur adventure play set. Bunting was also from KMart for $2 - I just added a couple of stickers and the RAWR@! Simple, yet effective. I love how it turned out. We got Master M this 125-piece Dinosaur Adventure Play set for his birthday. Purchased from KMart. 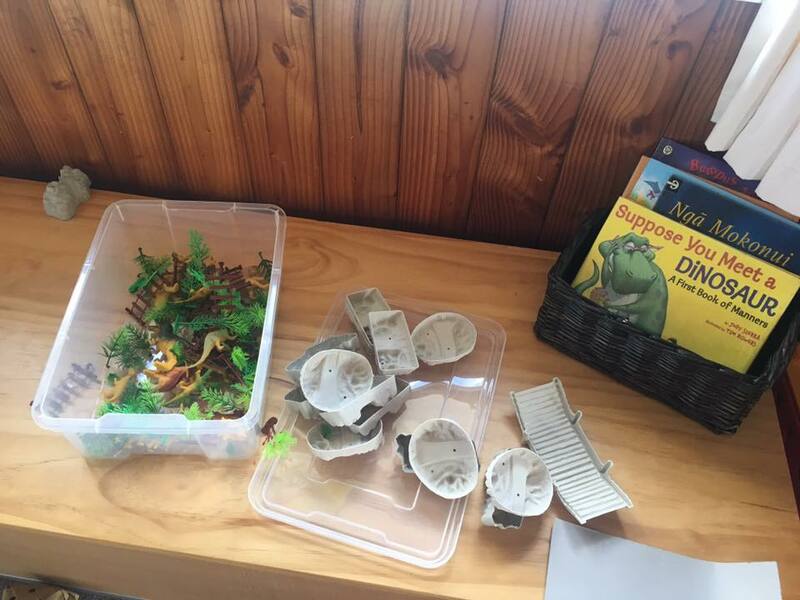 The kids loved playing with the dinosaurs and making little enclosures for them. 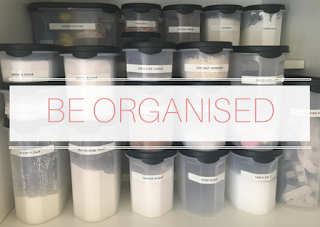 I bought a bag of playground sand from Bunnings for under $12 and put it in an under-the-bed storage container (it's great because the lid keeps the stray cats out). This sand is a lot grainier than normal sand, which I actually prefer as it comes off a lot easier. 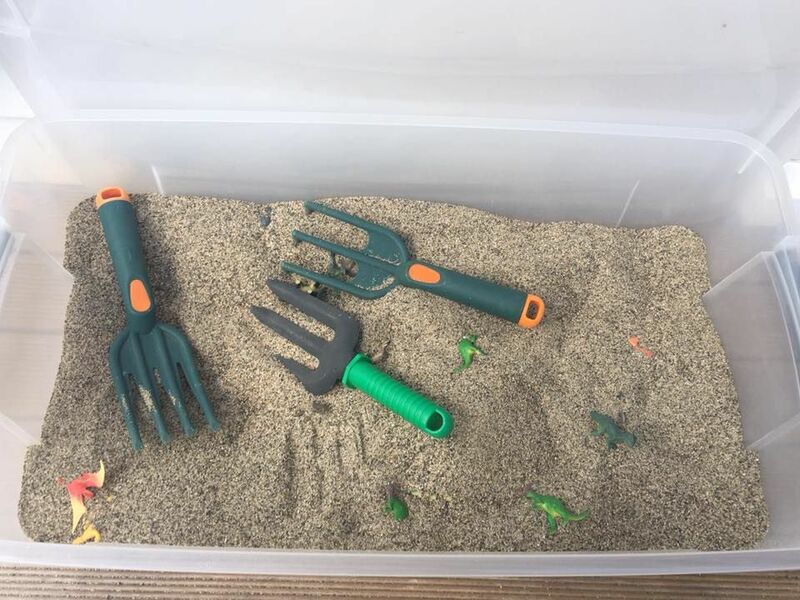 I added a pack of 30 dinosaurs ($3 from KMart) to the sand a few gardening tools, so the kids could dig them up. They loved it. Carefully place a dinosaur in a balloon and fill it with some water (about 1 1/2 cups) and place into the freezer overnight. 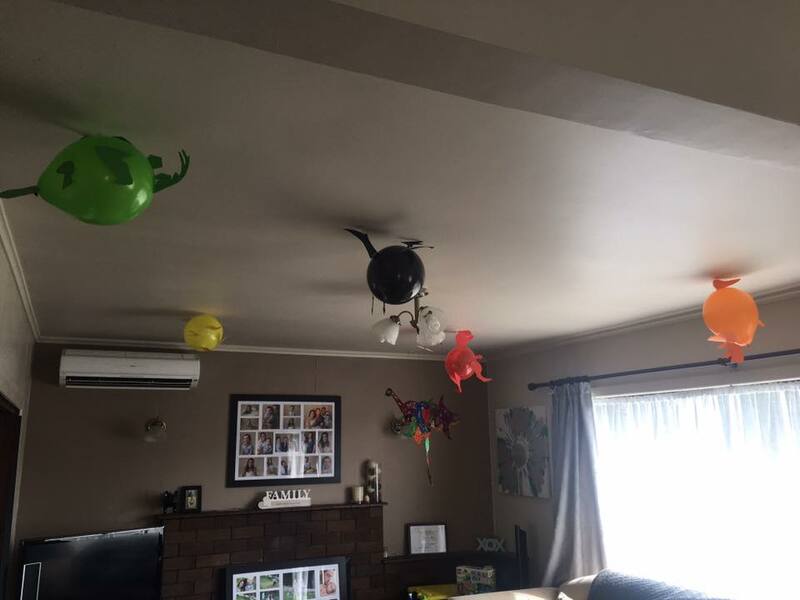 After a couple of hours, when the balloons are starting to harden, turn the balloons over to try and get the dinosaur to move more to the centre. 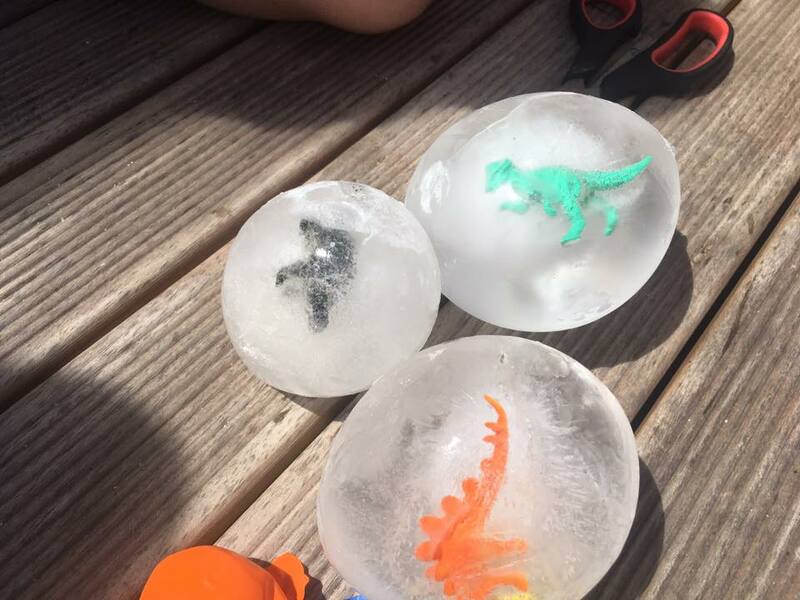 Once frozen, cut the balloons and it exposes these really cool ICE AGE Dinosaur Fossils. 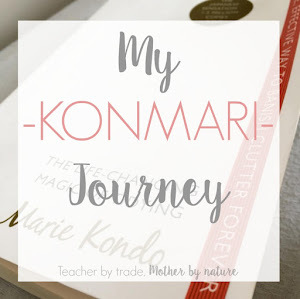 I gave one each to the kids (Master M, Miss B and my niece & nephew, who were staying with us). 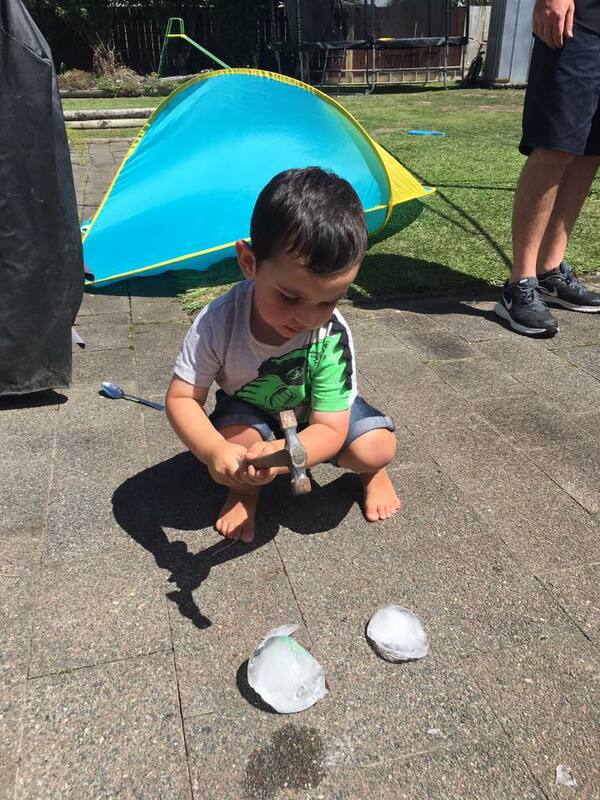 Master M used the hammer to crack the ice (alternatively you could give your child a spoon) until he could get the dinosaur out. He thought it was pretty cool, and it was a nice activity to do on a hot day. It's a shame our friends missed it. 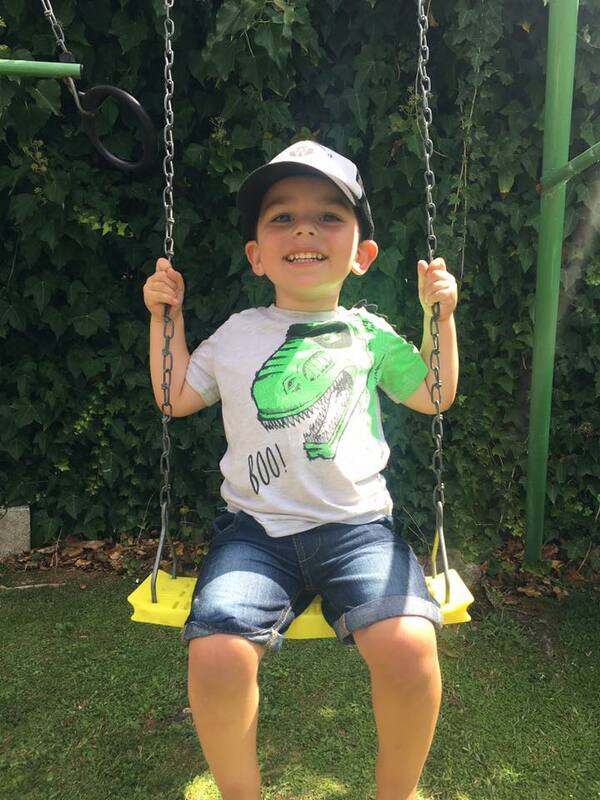 Master M wore his RAWRsome DINOSAUR t-shirt he got from his Great Grandmother for Christmas, denim shorts and his 'trucker' hat. One of his friends also wore the same shirt, it was so cute. I can't believe my baby boy is 3! Happy Birthday son! The week before the party, Master M had been working on a little project with his home-based carer. He made a dinosaur mobile! He painted it and decorated it with embellishments. 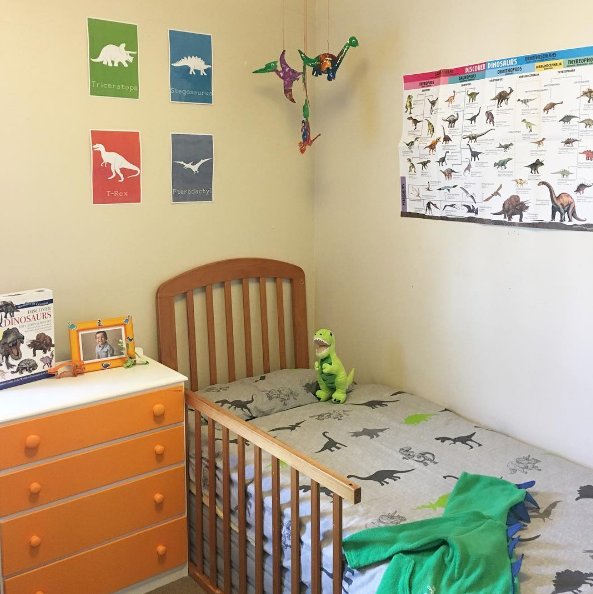 There are four dinosaurs (T-Rex, Triceratops, Stegosaurus and Pterodactyl) and now it is proudly hanging in his bedroom above his bed. It is his keepsake for his 3rd birthday. For Master M's birthday - he got a mini bedroom makeover, using the presents he got from us to decorate his room. I love how it turned out and he loves it too. 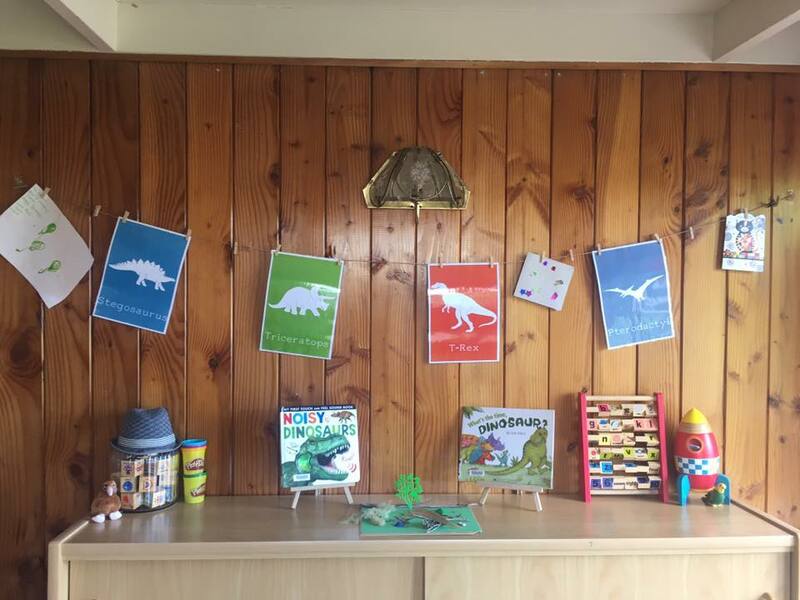 My friend Karen from Mummy Do It shares 10 Fun Dinosaur Party Ideas if you are looking for more Dinosaur party inspiration.